Hello everyone, Cheryl here with a Victorian Window Card I created using CottageCutz Dies. 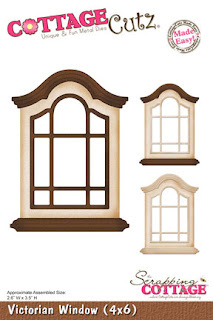 The Victorian Window is from the NEW "This N That" Release. I absolutely LOVE this CottageCutz Victorina window and the way it turned out. I thought hmmmmm what to do with this window, and as soon as I picked my design paper I knew instantly what to do. I took, the flowers from the CottageCutz "Tree of Nature" die, and layered them to create little flowers, perfect size for this window. 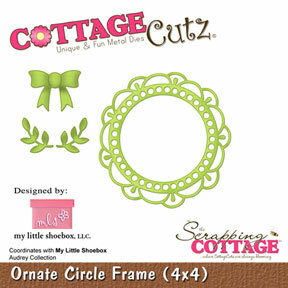 Next I wanted some greenery,so I used the CottageCutz "Ornate Circle Frame" Die, it has some greenery in it, perfect size as well for my window. You can CLICK on any of my PHOTO's to ENLARGE :) so you can see CLOSE UP! Thank you for looking and have a wonderful weekend!! I love your beautiful card, Cheryl with a new Victorian window die from "This N That" Release. Great mix of the CottageCutz dies and the stitching adds just a final touch to the card. I can't wait to get this dies in the mail and try them out... :). Thank you for the great video! Have a great day! Stunning card , so beautiful. Wow Cheryl this is a masterpiece. What a gorgeous use of the window die. I just love it. So beautiful!!! I love how you put the patterned paper behind the window. Absolutely gorgeous Cheryl! WOW!Beautiful card! !Love the window die,it's awesome! Cheryl, I love your card. It is so rich and romantic and beautiful. 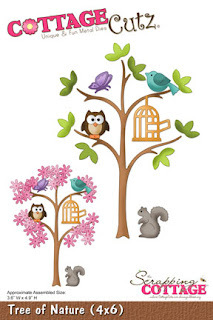 And thank you for the video, this new dies really looks great and super easy to use. Gorgeous card Cheryl! You really showed off that beautiful window die!